So, I’m a huge fan for Firefly and Serenity. Did the hat give it away? I’m knitting Ma Cobb hats, the illustrious knitter and mother of Jayne Cobb, one of the characters in said show and movie. Here’s the pattern I’m using. 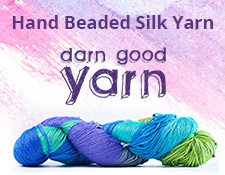 If you’re not Ravelry, look here. I couldn’t quite get the exact colors, but I think I did well otherwise. I’m knitting these hats for friends, and myself and Sam down the line. I’m a part of the Susquehanna Valley Brigade of PA Browncoats Facebook group, and we are a bunch of Browncoats who love Firefly and Serenity. Just to let you know, we are having a screening of Serenity on July 9, 2016 at Penn Cinema in Lititz, PA for Can’t Stop the Serenity, an event for Joss Wheadon’s, the director of both, favorite charity, Equality Now. If you’re in the area, we’d love to see you there! If you aren’t, find an event in your area and GO. You’ll be hearing more about this as July gets closer. I’ll be knitting more hats to give away at the event, too. Posted on April 14, 2016 April 14, 2016 by jennabee25Posted in RamblingsTagged browncoats, can't stop the serenity, firefly, jayne cobb, knitting, ma cobb hat, serenity.